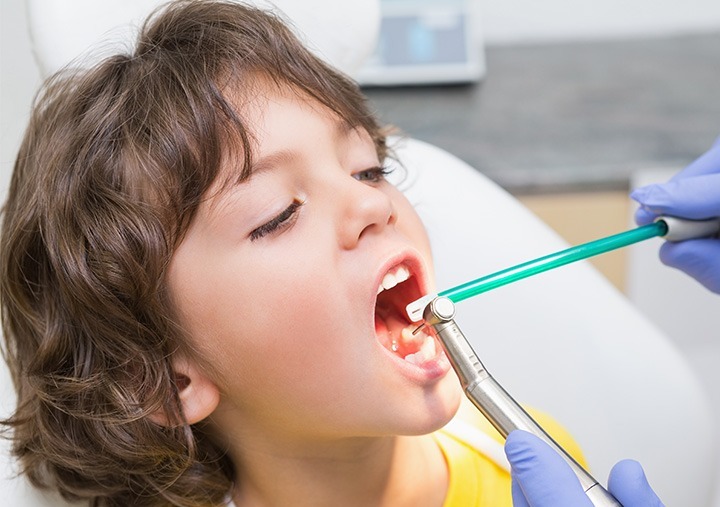 Should Child See An Orthodontist Before He Gets His Permanent Teeth? HomeBlogShould your Child see an Orthodontist before he gets his Permanent Teeth? Should your Child see an Orthodontist before he gets his Permanent Teeth? You may have noticed that some children have misaligned milk teeth and parents often wonder whether their child should visit an Orthodontist. When some children close their mouth their top teeth sit behind their bottom rather than the other way around. If an upper single tooth or teeth are biting behind the lower teeth, the condition is called anterior crossbite. This is one of the few conditions that has to be treated by an Orthodontist or Pediatric dentist at the earliest. The treatment will move the teeth and correct the crossbite. There is a common misconception that irregularities or the mal-alignment of teeth in young children need not be corrected until all the permanent teeth, except third molars, erupt. Permanent teeth are usually fully erupted at the age of 12 or 13 years. If an anterior crossbite is not corrected early on, it can cause serious problems, which could lead to restriction of the growth of the upper jaw and permanent deformation of the jaws. There are many other conditions that need to be treated at a younger age. This is why it is recommended that every child should have their first orthodontic consultation with an Orthodontist at the age of 7 years. See Also: How Can I Prepare My Child for Their First Visit to the Dentist? The anterior crossbite of a single tooth can be usually corrected by an appliance that is either fixed or removable which would move the tooth forward into the correct position. This would enable the upper jaw to develop normally. To book free orthodontic consultation please call one of our branches today. Previous post: Can Baking Soda and Lemon be Used for Teeth Whitening? Next post: Can Unexplained Toothache Be Caused by Allergens?